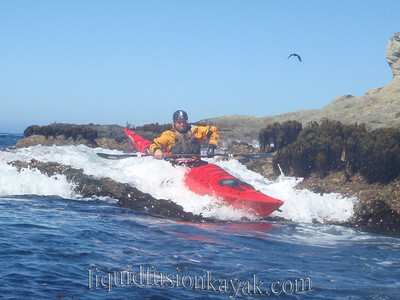 Sea kayaking on the Mendocino Coast is never complete with out some rock garden play and the Noyo Bay in Fort Bragg is one of our favorite play spots. I was injured for over 6 months last year and couldn't play . . . so now I am making up for lost time. This week we were sharing a few rides with Chris and Hawk from Humboats . . . 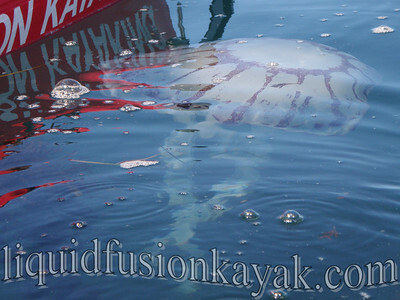 It has been sunny and warm on the Mendocino Coast with very calm, glassy ocean conditions. 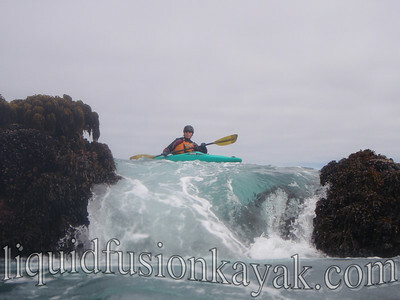 Yesterday, our day started with a WILD rock gardening session with some experienced whitewater kayakers, proceeded to a sea kayak coastal exploration, and wrapped up with a mild Noyo Meander (of course followed by a trip to North Coast Brewery). 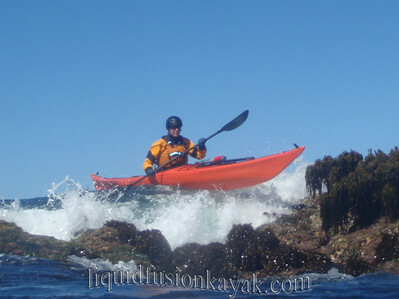 Seeking whitewater with experience whitewater paddlers in calm conditions sent us to one of the outside reefs where it was anything but calm . . . Definitely WILD!!! I dropped an "F" Bomb going over one of the 12 foot drops when I saw the gigantic hole below. The mermaid boat submerged and flipped . . . but the mermaid in the boat was calm and cool (cold water helps with that) and rolled up. 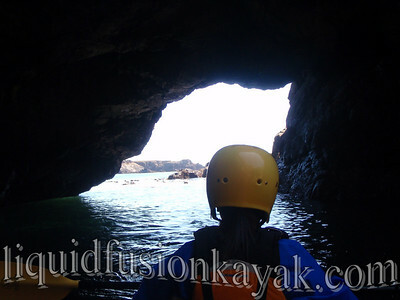 In the afternoon, we toured in tandem sea kayaks the Noyo Bay and Fort Bragg Coastline. I was excited to have a 13 year old young lady paddling with me while her family waived to us from shore. We saw some amazing jelly fish and enjoyed the sunshine, wildlife, and meandering along the coast and checking out a couple of sea caves. In the evening, I enjoyed the company of a family from Sacramento for a meandering paddle on the Noyo River. We enjoyed spectacular displays of marine mammals including a pair of sea lion pups jumping clear out of the water in unison. 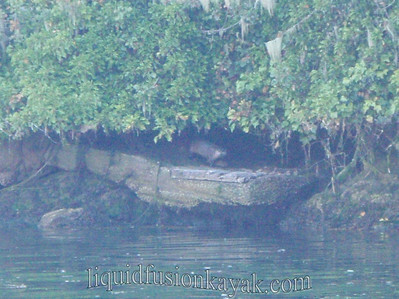 My streak for daily sitings of the river otters is continuing and my guests have been treated to displays of their quirky behaviors. Ahhhh . . . 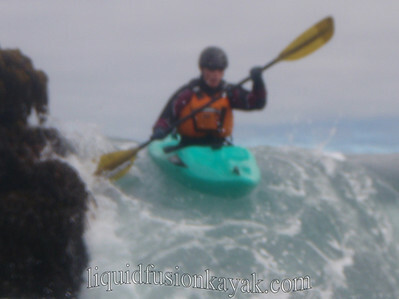 I am enjoying a few minutes in the office this morning uploading photos and attending to communications but am looking forward to another afternoon of sea kayaking and wildlife watching on the Mendocino Coast (paddling paradise in my opinion).